The Pakistan Red Crescent in collaboration with the Weapon Contamination Unit (WCU) of the ICRC is actively working in the hazardous areas of Fata, KP and AJK to create awareness among the people about the threat posed by the unexploded ordnance (UXO), landmines, explosive remnants of war (ERWs) and the IEDs. These hazards – scattered in place like the abandoned houses, agricultural lands and waterfalls – pose a serious threat to the local population and those getting back to their homes after restoration of law and order. The Community Based Risk Reduction and Victims Assistance (CBRR & VA) program aims to educate the inhabitants of the affected areas about the potential risks. Beneficiaries: The program has successfully reached over 86,507 people countrywide in 3,160 outreach sessions conducted by the program-based risk educators. The educators have been recruited from the local population in order to educate their people in the local language. The CBRR & VA initiative has successfully reduced the number of casualties. According to 2016 report, only 40 incidents occurred countrywide compared with a large number of incidents which took place in the previous years. The program has been able to reach 10,202 men, 9,847 women, 6,180 boys and girls in Muzaffarabad, Neelum, Haveli, Poonch, Kotli and Bhimber districts of the AJK. In KP, the program has reached around 9,754 men, 1,768 women, 8,899 boys and 2,438 girls in Hangu, DI Khan, Lower Dir and Swat. In FATA, 15,864 men, 41 women and 21,264 boys and girls benefitted from the program. 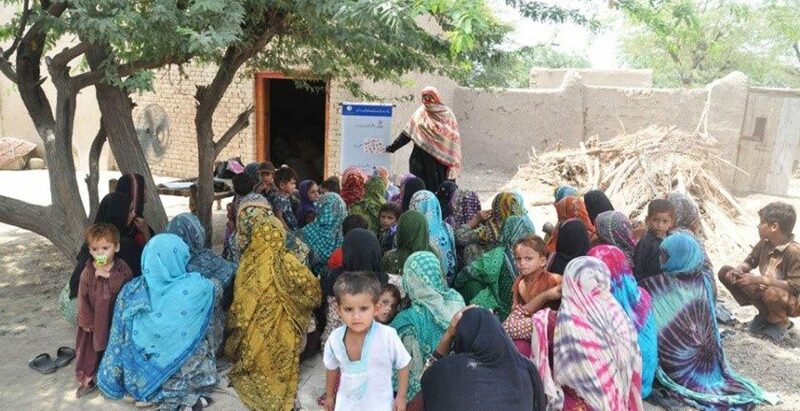 Cultural barriers: Though the program faces difficulty in reaching girls and women in the rural areas of tribal agencies due to the cultural barriers, it continues in Mohmand, Bajaur and Khyber agencies. The program in collaboration with the physical rehabilitation centers has so far referred 77 victims who have been rehabilitated. Moreover, it maintains a regular liaison with the line departments of district governments to reinforce the initiative.